You don’t have to follow science news to know the name Stephen Hawking, one of the most accomplished physicists of our time, who happens to suffer from amyotrophic lateral sclerosis, or ALS. What you may not know is that Hawking isn’t the only brilliant mind who has refused to be defined by his physical limitations. Take a look at 12 other disabled scientists who made their mark. 1. JOHN FORBES NASH, JR.
An acclaimed mathematician, Nash focused his work on the idea of economic conflict: his “Nash equilibrium” theory put forth the notion that in certain situations, no one can back off from their chosen position without winding up with less than what they started with. Nash’s thinking was hugely inspirational to business and political strategizing, and he won a Nobel Prize in 1994 for his efforts based on a simple, one-page explanation of his theories. But Nash was also a diagnosed schizophrenic, an affliction that had at various points cost him both personally and professionally. Still, not even episodes of paranoid delusions requiring hospitalization kept him from his work, which he kept up until his death at age 86 in 2015 following a car accident. One of our great fathers of electricity and the owner of over 1000 patents, Edison was a quantifiable genius. But a bout of scarlet fever as a youth had left him almost entirely deaf in both ears. Rather than dwell on his misfortune, Edison believed his mostly silent existence was a positive: he could become deeply absorbed in his work without distraction. Animal behaviorist and autism activist Grandin, who was diagnosed with autism as a child, received her master's in animal science from Arizona State University and her Ph.D from the University of Illinois at Urbana-Champaign. Grandin’s work on animal behavior has been cited as an inspiration for multiple changes to the livestock industry, including how animals are cared for at meat processing plants. If he’s not the most famous intellectual in American history, he’s certainly close. But Einstein’s achievements in the fields of mathematics and physics didn’t come without challenges. Suffering from a learning disability, it’s reputed that Einstein did not learn to talk until age four and was often confronted by teachers for his inability to grasp concepts as fast as other students. It’s possible he was experiencing symptoms of dyslexia. At just seven years old, future inventor Braun was diagnosed with muscular dystrophy. Motivated to retain his independence, Braun helped pioneer a series of revolutionary mobility-assistance devices, including the world’s first battery-powered scooter and wheelchair lift. Thanks to Braun, millions of physically-impaired individuals have been able to chart their own path in life. Paleontology would be poorer if not for the contributions of Vermeij, a renowned expert on the history of life whose research has led to better understanding of how fossils once interacted with the world at large. Vermeij’s inspection of relics is by tactile feel: diagnosed with glaucoma as a child and blind since age 3, Vermeij has had to rely on other senses to continue his work. Because he cannot lean on his sight, colleagues have said that Vermeij has singular insight into evolution, absorbing detail of layers and shapes that might otherwise go unnoticed. It would take less time to list all of the subjects da Vinci didn’t excel in. A master of art, mathematics, astronomy, and dozens of other pursuits, da Vinci’s inventions went on to inspire hundreds of years’ worth of ingenuity. His sketches of various ideas hint that he was also dyslexic: much of his handwriting was composed in reverse. 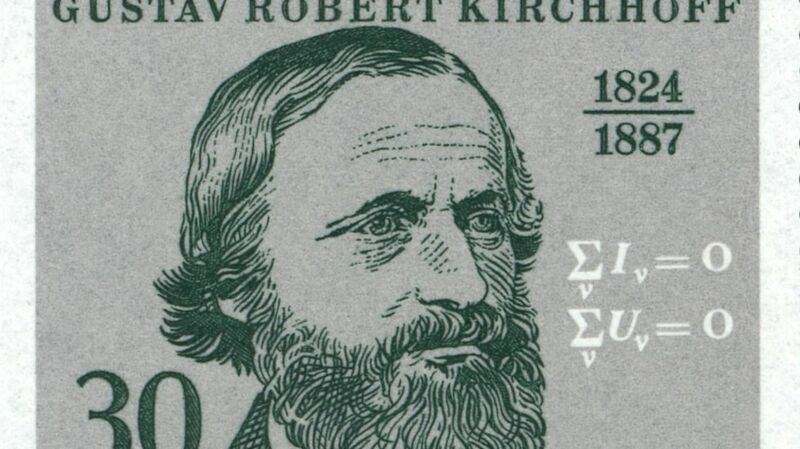 Physicist Kirchhoff’s work in the 1800s is still relevant to our understanding of electricity today. The scientist made headway into the still-young field despite an unknown disability that restricted his movement to a wheelchair or crutches for most of his life. Later, Kirchhoff’s understanding of the sun’s spectrum contributed to new discoveries in astronomy. A notable paleontologist, Leakey is famous for his discovery of near-complete bone sets and his conservationist efforts in his native Kenya. None of it would have been possible had Leakey decided to stop his pursuits after a plane crash led to the amputation of both his legs below the knee. After recovering, Leakey resumed efforts to rework Kenya’s constitution in order to better serve its people. German-born Steinmetz made pioneering contributions to electrical engineering, with theories about power loss helping govern how direct and alternating currents were developed. Steinmetz was also afflicted with kyphosis, a congenital curvature of the spine. Software engineer Bedwei has been hailed as one of South Africa’s most important figures in financial technology, pioneering cloud platforms that have helped make small loan decisions available to consumers across the world immediately. Bedwei was diagnosed with cerebral palsy at the age of one and has made continued strides to educate both parents and sufferers that the condition doesn’t have to prevent anyone from achieving their goals.